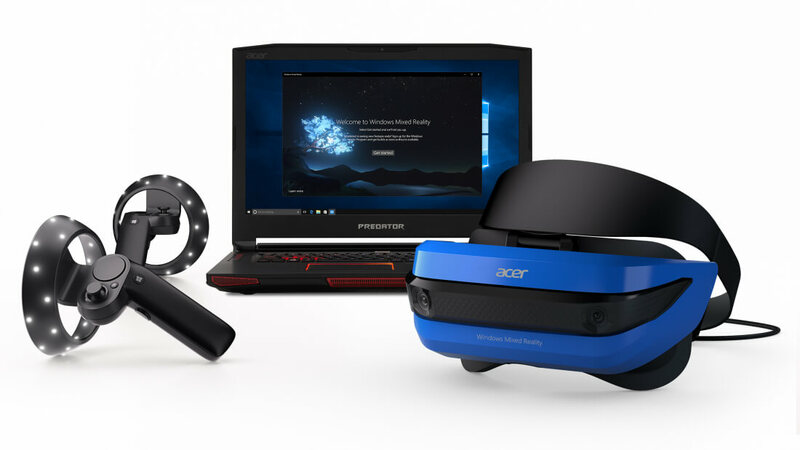 Microsoft is opening up preorders for the first Windows Mixed Reality development kits from HP and Acer. The company had originally announced availability of Acer’s headset to “developer partners” at GDC 2017. However, that rollout was extremely limited, so today’s reveal marks the headset’s first widespread availability on the Microsoft Store, priced at $299. HP’s version will sell for $329. These are mixed reality headsets — which means they’ll combine virtual reality and augmented reality — but they are fundamentally different from HoloLens. For one thing, they don’t have see through visors, instead they are opaque like normal VR headsets. This design has some advantages like allowing for a wider field of view, but unlike with the HoloLens, instead of seeing your real world surroundings with digital elements layered over, you only get to see a generic virtual world instead of the actual room you are in. It’s not a full AR experience yet but early impressions are generally positive, especially considering it costs half of what HTC and Oculus are charging for their own headsets. Both units feature similar hardware, which includes two cameras on the front and inside-out, allowing six degrees-of-freedom tracking — meaning you can move around in VR without any additional hardware like external sensors. Two high resolution panels provide a display resolution of 1440 x 1440, a display refresh rate of up to 90 hertz, there’s also a 3.5mm jack for built-in audio support plus HDMI 2.0 and USB 3.0. In addition to the headsets, Microsoft unveiled the first Windows Mixed Reality motion controllers, featuring responsive tracking with no markers required — though presumably they need to be in front of the user so a headset’s sensors can detect them, unlike with the HTC’s lighthouse system. The company says partners are working on their own controllers, which “must adhere to a specification.” Acer is promising a VR headset and controller bundle for $399 this holiday.